Applied Scientific Reports is an Open Access journal published by Herbert Publications Ltd. Applied Scientific Reports is an Open Access (Gold OA), peer reviewed, international online publishing journal that aims to publish premier papers on all the areas of advanced research carried on in its field. For details how to prepare and submit a manuscript through the online submission system, please visit instructions for authors. Journal - Applied Scientific Reports is an Open Access (Gold OA), peer reviewed, international online publishing journal that aims to publish premier papers on all the areas of advanced research carried on in its field. Applied Scientific Reports Journal is the discipline of science which applies scientific knowledge to solve practical problems. The scope of the Journal includes wide area of research in applied Physical science, Engineering, Environmental sciences and Biological and Health sciences. Nanotechnology, Biostatistics and computing, Astronomy, Physics, Aeronautics, Physics, Chemistry, Engineering. To be appropriate for Journal - Applied Scientific Reports, articles need to be of outstanding quality, broad interest and special importance. Initial decisions are held by Editors-in-Chief and submitted manuscripts will undergo unbiased preliminary assessment for the suitability to the scope of the journals. This will be determined during peer review process and by the advice of a member of the editorial board or somebody of equivalent standing. There are no restrictions on the length of articles submitted, but authors are suggested to concise in regard with the reader’s interest. Journal - Applied Scientific Reports open access policy allows maximum visibility of articles published in the journal as they are available to a wide, global audience. Articles that have been highly accessed are highlighted with a 'Highly accessed' graphic, which appears on the journal's contents page and search results. Herbert Publications promotes all the published articles and content through free email alerts. It also provides wide range publicity and increased visibility to the articles in journals via updating on social networking sites like Facebook, Twitter and Google plus. Following publication in Applied Scientific Reports, the full-text of each article will be deposited and permanently archived in Google Scholar. Journal offers a fast publication schedule whilst maintaining rigorous peer review process. All articles must be submitted online, and peer review is managed fully electronically aimed to take the final decision within 6 weeks from the manuscript submission. The article will subsequently be published immediately in both fully browsable web form, and as a formatted PDF the article will then be available through Journal - Applied Scientific Reports. Herbert publication encourage submitting all the research content and offer proper space to full text, supplements, tables, figures, color illustrations and additional information related to the submitted manuscript. It provides appropriate links to all the supplements and permanent access online. Articles are published under the Creative Commons Attribution License, providing immediate and permanent access for free to all types of original works. 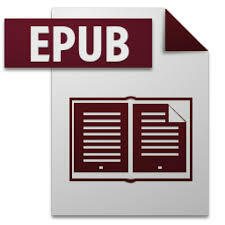 The license grant copyrights to the authors concerned and make the articles available for their reuse and dissemination. Open Access publishing is not free of cost to the author. Herbert Publications is an independent organization and dedicated to provide immediate barrier free open access to all its research content permanently for any internet user in the world. Herbert Publications ask for an affordable Article Processing Charge from the authors to cover its administration costs, publication process and maintenance. For Journal - Applied Scientific Reports the publication fee is US$300. Manuscripts must be submitted to Journal - Applied Scientific Reports electronically using the online submission system. Depending on the article type, full details on how to prepare and submit a manuscript are given in the instructions for Authors. Journal - Applied Scientific Reports recognizes the effort and involvement of a scholar in publishing an academic research work. To display quality in its articles, Herbert Publications support COPE guidelines and uphold high standards of publication ethics to all of its journals. To ensure fair evaluation process, all the submitted manuscripts undergo single-blind peer review process. The process involves strict measures to prevent plagiarism, redundancy of manuscripts, fabrication of data and multiple submissions. A declaration should be provided for any report on experiments involving human subjects substaining that informed consent was obtained from the subject(s) and/or guardian(s). In the cover letter corresponding author should clearly state that the informed consent was obtained. All the articles are produced with respect to the scope of the journal based on relevancy, integrity, scientific strength, potential interest, completeness, clarity and ethics. Decisions on manuscripts are not affected by the author's origin, nationality, ethnicity, race, religion or political beliefs. No government policies or agencies away from the journal will determine the decision. Decisions taken are strictly based on the articles validity and importance to the scientific readers. For more information visit Editorial Board Policy. Authors who publish in Applied Scientific Reports retain copyright to their work. Journal - Applied Scientific Reports operate single blinded peer review system with rapid and thorough process through electronic submissions and communications. In this process the authors names and affiliations will be revealed to the reviewers, while authors are kept blinded from reviewer details. More information is available at Peer-Review Policy page. Queries about content, submissions, or the review process should be directed to editorialasr@hoajonline.com. All other enquiries should be directed to info@hoajonline.com.